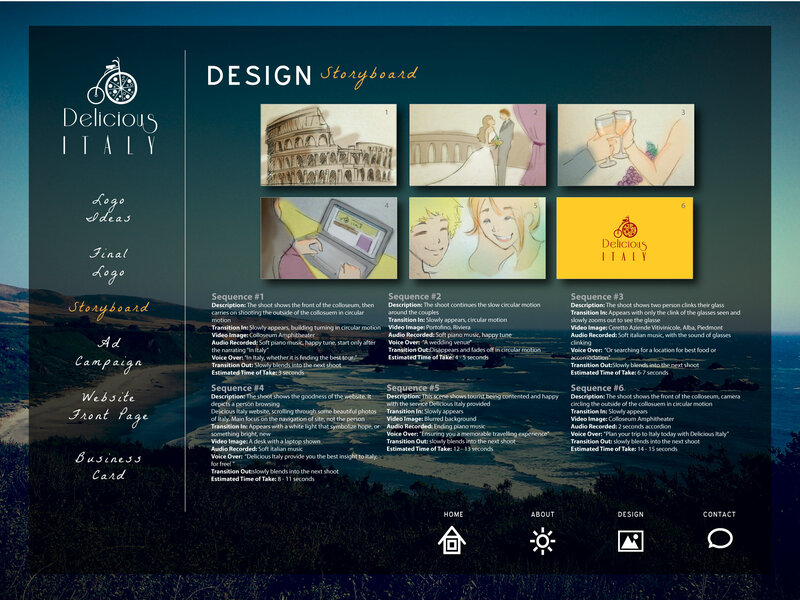 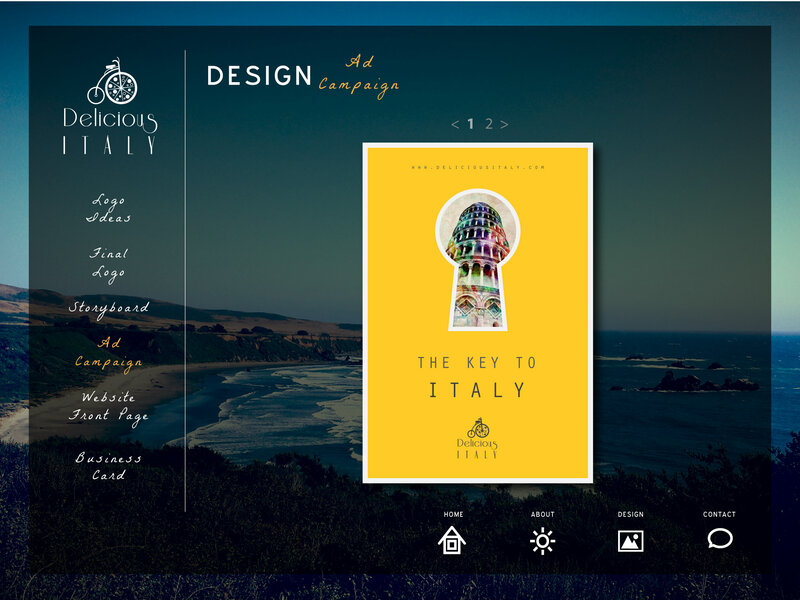 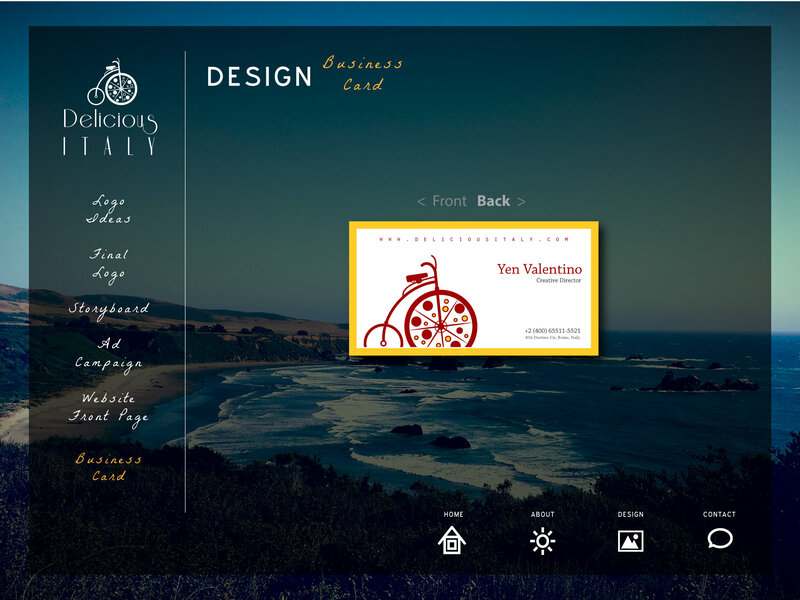 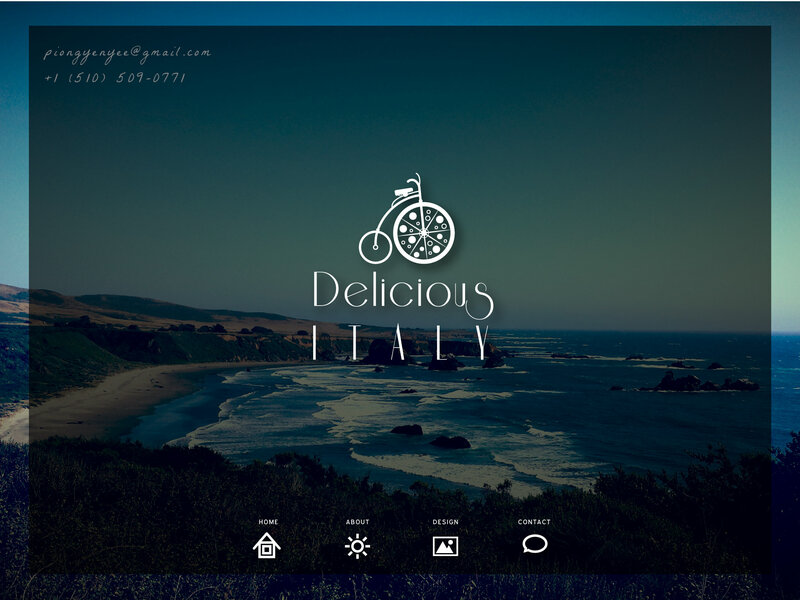 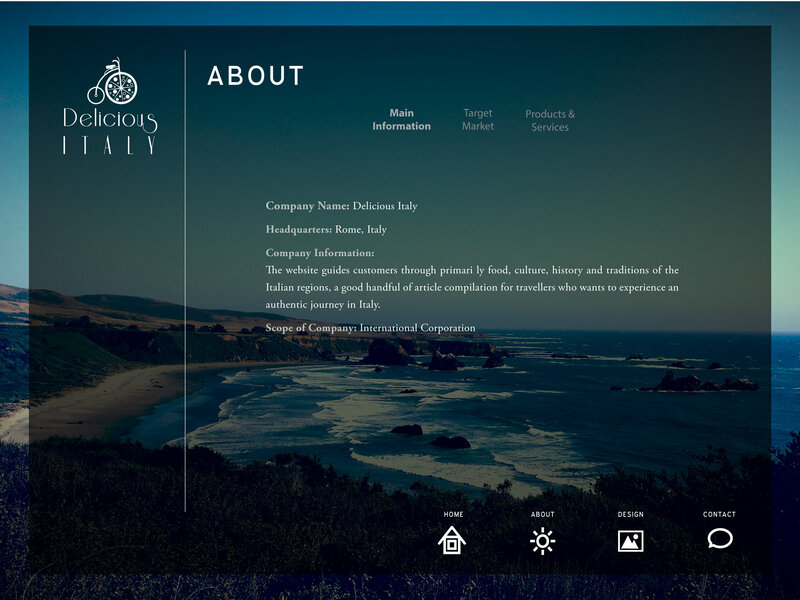 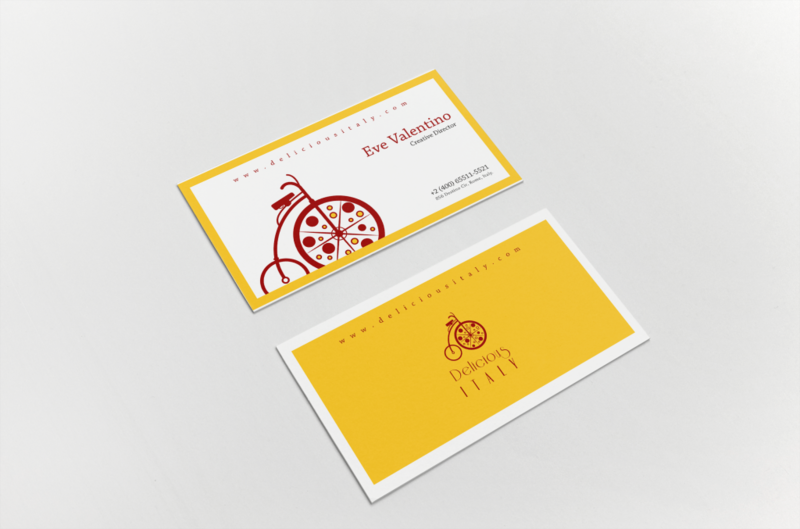 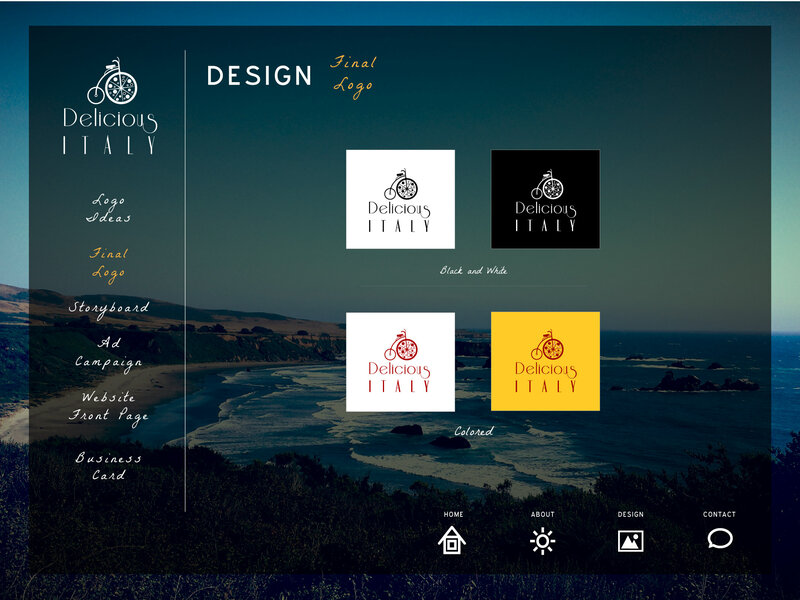 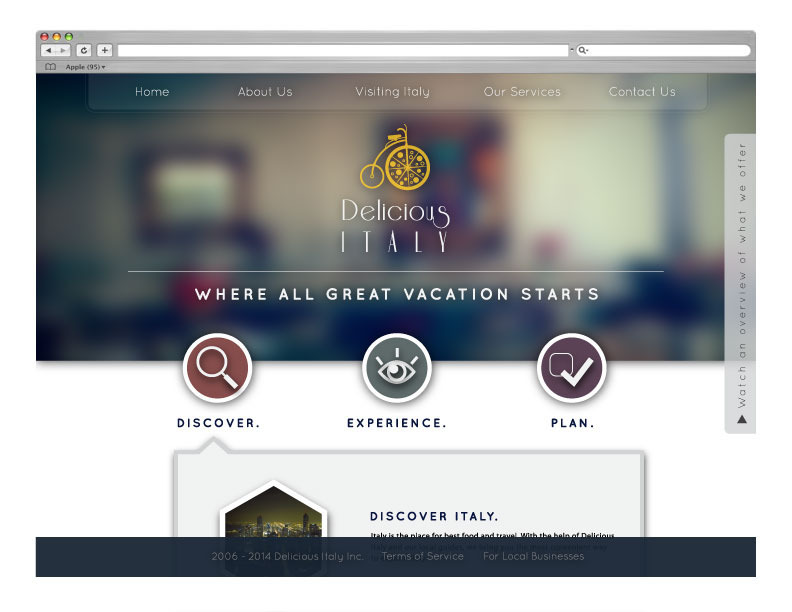 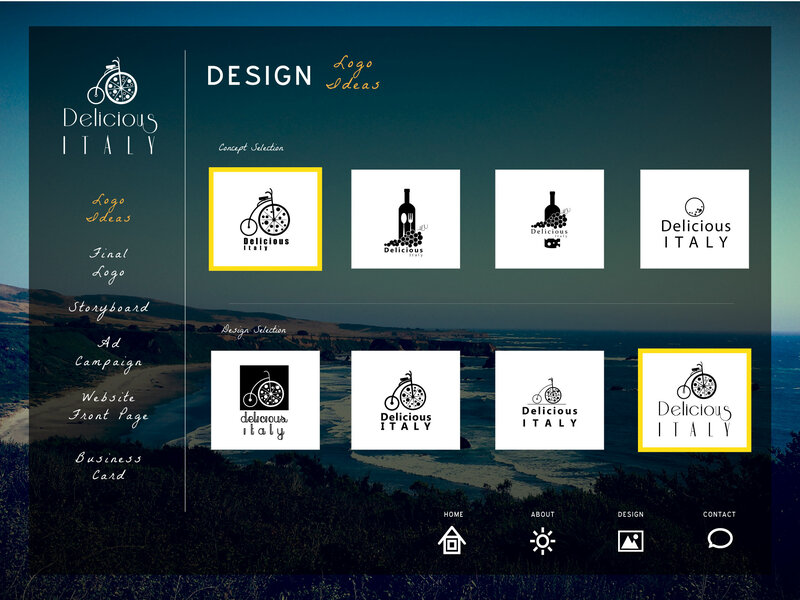 This is a rebranding effort to revamp the entire look and feel of www.deliciousitaly.com. 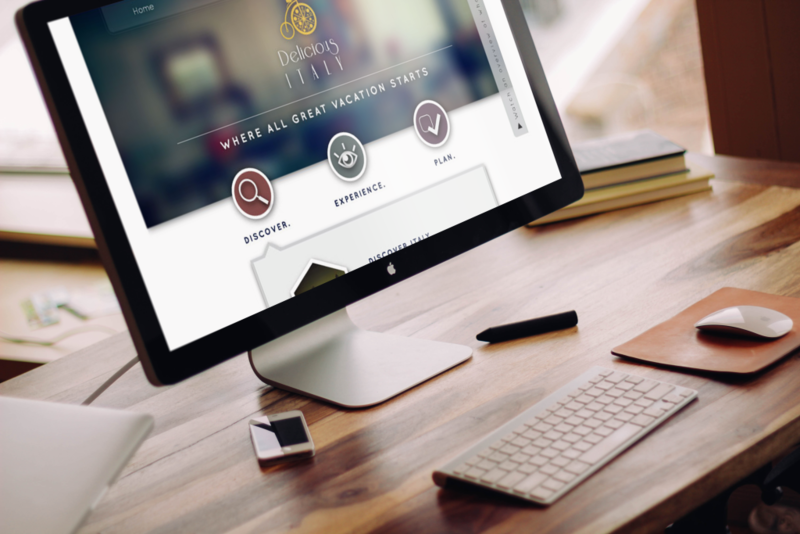 The rebranding focuses on creating brand awareness and provide brand consistency throughout it's marketing efforts. 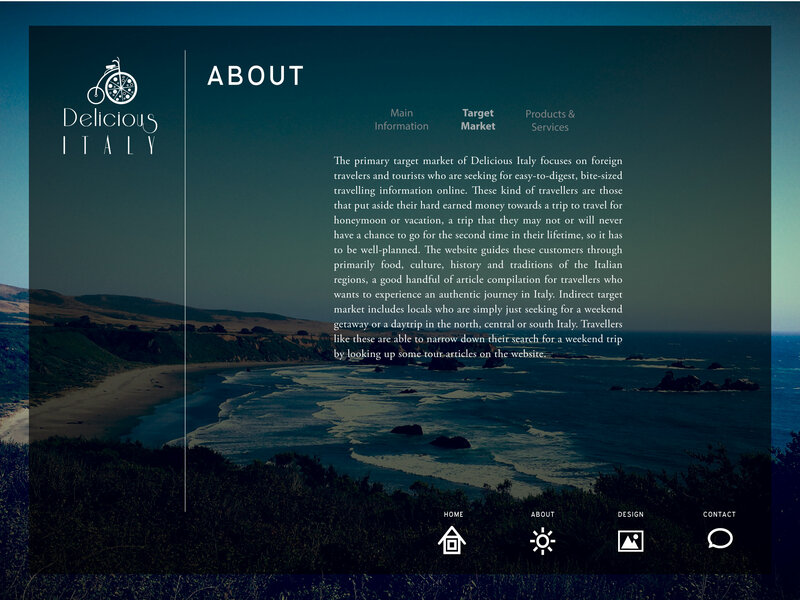 The target audience is defined to include travelers in their 30's and above with a stable income to support comfortable and affordable travelling plans. 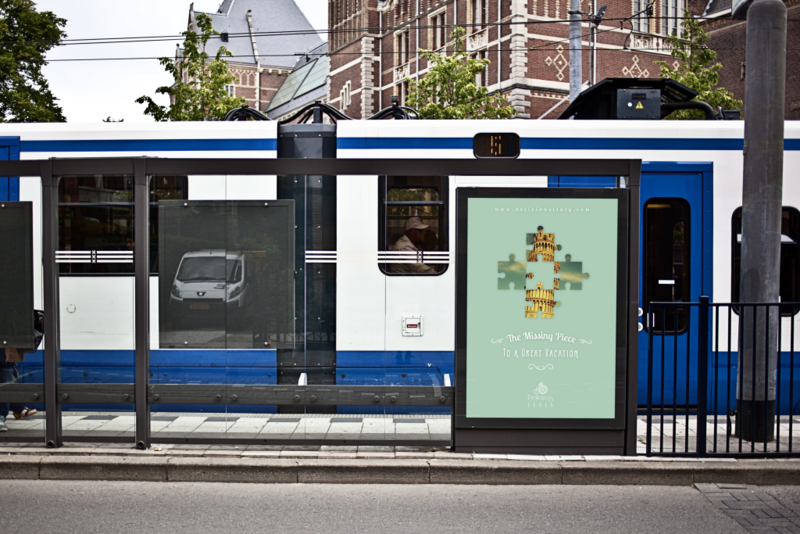 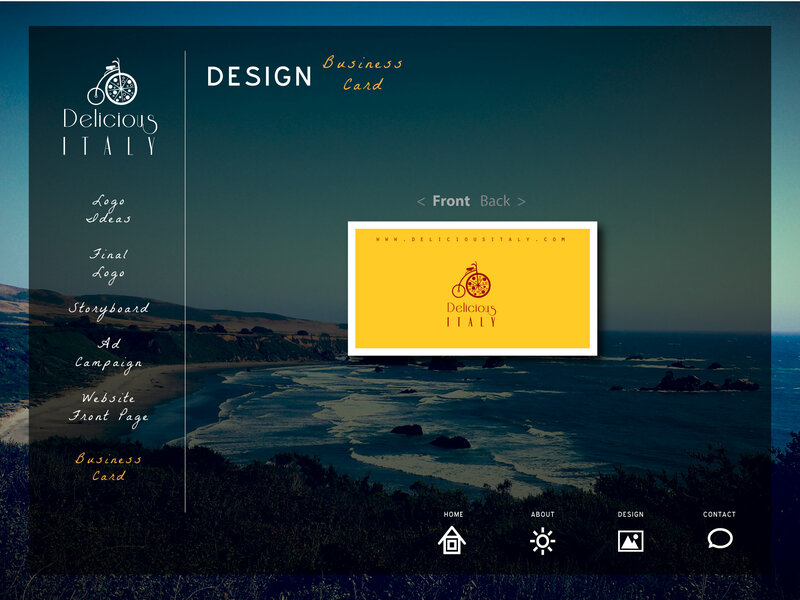 The design of elegance and authority was used to appeal the target audience. 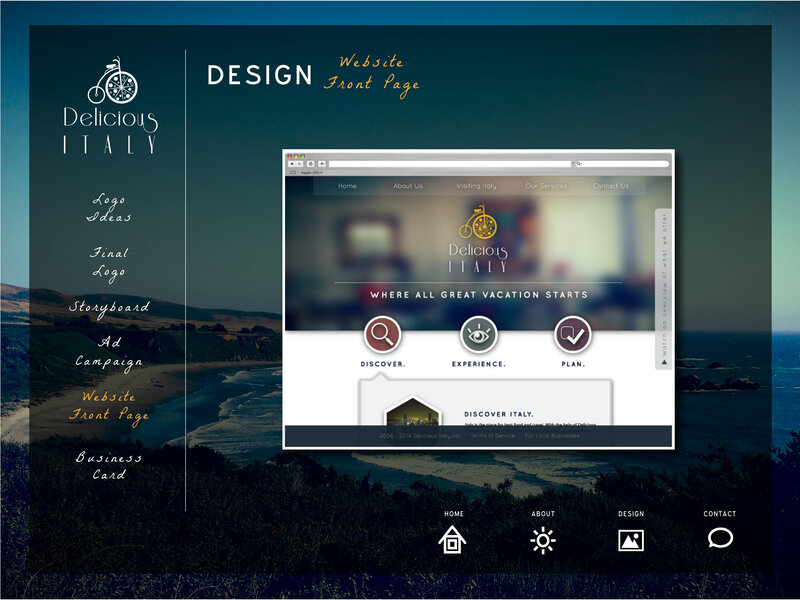 The rebranding initiatives include logo, ad campaign, posters, name cards and website landing page.